We're big fans of VEGA products. And this is our favorite protein powder. Flavors are all good, but moka is especially delicious! We use it for work-outs, but also mix it in smoothies and overnight oats. Nice taste that isn't too strong, so it's perfect for mixing with cereals or hot drinks. Dissolves well too! Been using this for some months as a post-roller derby practice recovery drink. It tastes good, the only reason I didn't give it 5 stars is it doesn't mix up super nicely, leaves clumps of powder in the liquid but also settles after a minute or so, re-mixing constantly is necessary. Might have better results in a mixer cup but I don't feel I would use one of those enough to buy one. I usually shake it in a mason jar with a screw top lid and ice to try and get it mixed up as best as possible. Satisfying post-workout, not sure if does help with any inflammation, but I will continue to use it. I love it, it tastes incredible!!!!!! Ce produit est trÃ¨s bien, bon au goÃ»t mais il faut le mÃ©langer longtemps pour le dissoudre. Oh my gosh!!! 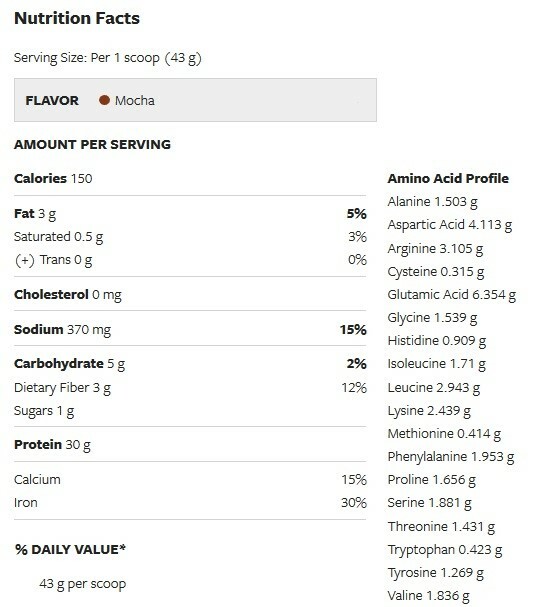 The best tasting shake EVER!! I've tried a lot of shakes and these flavours from this specific brand are AMAZING!! Vanilla and chocolate too! You can not go wrong with this brand and flavour! I didn't like the vega greens mix so I went to this one. It really doesn't taste much better. I don't think it tastes very mocha-y either. There are other brands that taste better and mix better. I don't think I'll be returning to vega. Very good, tastes good, mixes well. Excellent choice when looking for plant based protein supplements. 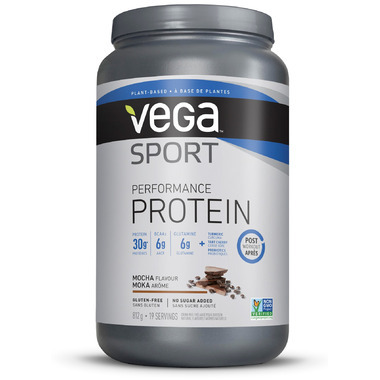 We love Vega at our house and this product is no different. And it tastes awesome! That's also the perfect replacement for whey protein powder if you want to go plant-based. Very good, mixes well and nice flavor option.